Main Informations: How to reduce hair lose through Ayurveda ? How to reduce hair lose through Ayurveda ? According to Ayurveda, body type and balance of the mind-body constitution are important factors in determining hair loss. 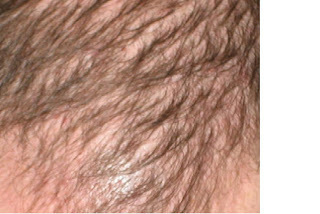 Individuals having excess Pitta dosha face problems of hair loss and early graying of hair. · The regular massage of the scalp with mustard oil or cocunut oil. · Rince the hair with neem leaves water (Boiled) to stop balding. · Regualar massage egg yolk and honey on your scalp. Then rinse after one hour. · For hair washing, use Shikakai or Amla . Theses treatments do with the consultation of an Ayurvedic Doctor.